Hambo and Bacon completed their tour in Vietnam. A police in the country captured Bacon just because he did not like their sort. Hambo was able to run but he promised to save his best pig buddy. 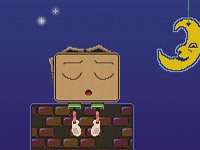 Play the main character of the game and do your best to save your best friend with the help of this Hambo walkthrough. This is an addicting and fun physics game that will need you to strategize on how you can hit your enemies with the right angle and force of your shot. 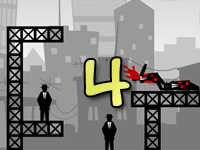 Learn more about the game and how to complete the stages through this Hambo walkthrough. 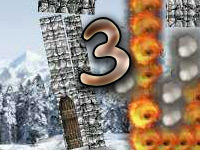 There are 36 levels to complete in this first installment of the game. This game has a second sequel. Though you can always play the second part first, it is best to play the game in sequence so you can follow the adventure of Hambo and Bacon. 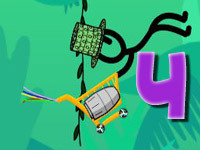 Levels 1, 2 and 3 are automatically unlocked at the beginning of the game. It is up to you which level you want to try first. Completing lower levels will unlock the next levels. All those that are unlocked can already be accessed even when you have not completed the previous levels yet. You will know which levels are already completed as they will have a check mark. You can earn a gold medal on each stage if you complete it with the specific number of shots set. This information will be given at the bottom of the game window. For example, the first level will ask you to complete level 1 in 1 shot to earn a gold medal for that stage. There are 6 weapons to use and the number next to the weapon will tell you how many ammo you have. These weapons are bow and arrow, 2 firearms, C4, grenade and knife. Some levels allow you to use various kinds of weapons while others will only let you use one weapon. Strategize properly on how you will use your weapon for a bigger chance to complete the stage and earn gold medal. Even if you do not earn the gold medal but you were able to kill all enemies with your available ammo, you will still have the stage completed. You can always retry playing any of the stages if you were not able to earn medals after completing them. Click and hold the mouse to charge your shot. Aim where you want it to land so you can defeat all your enemies. You will see an arrow that fills up with orange color, which determines the force of your shot. If the arrow is filled with this color, the force will be more powerful. Aim high with more force if the enemy is far from you. Else, you do not need much force if it is just near you. Let go of the mouse to shoot. Some stages require hitting specific things for you to defeat the enemies. For instance, you need to hit on a glass first before you can start hitting your enemies.